Park Tower in downtown Tampa has a sleek new aesthetic — and nearly two dozen tenants — since its ownership group kicked off a multimillion-dollar renovation in mid-2017. The oldest office tower in downtown Tampa has a sleek new aesthetic – and nearly two dozen tenants – since its ownership group kicked off a multimillion-dollar renovation in mid-2017. A partnership of City Office REIT, Feldman Equities and Tower Realty Partners acquired Park Tower in downtown Tampa in late 2016 for $79.75 million. 2017 was a good year for Tampa’s Park Tower. 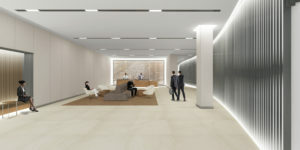 A new ownership group consisting of City Office REIT, Feldman Equities LLC and Tower Realty Partners commenced a multi-million dollar renovation at Park Tower to be completed this summer. Since acquiring Park Tower, eleven new tenants have leased space at the building. Mike DiBlasi, Feldman Equities Executive Vice President for Leasing and Marketing expects 2018 to be even better. “The renovation announcement really jump-started our leasing efforts in 2017,” said DiBlasi. The largest of those deals was a 10,500 square foot lease with CAPTRUST Advisors, LLC to relocate their headquarters to the building. In 2017, DiBlasi and Leasing Representative Ceci Tricoli leased over 44,000 square feet of new space before renovations began, and have signed proposals in-hand for an additional 15,000 square feet. DiBlasi expects the renovations and spectacular views of Hillsborough Bay, the Hillsborough River and the Downtown Tampa skyline to advance the quick lease-up of the building’s remaining office space. “We have had tremendous success leasing up our past projects after completing our renovations – current occupancy is over 97%. Park Tower should be similarly successful. This is a great opportunity for tenants of all sizes to move into the heart of downtown,” said DiBlasi. 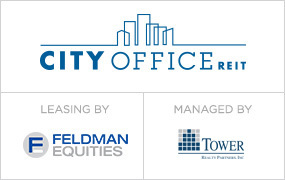 In November 2016, a joint venture partnership consisting of City Office REIT, Feldman Equities LLC and Tower Realty Partners acquired Park Tower. New leases signed include the headquarters relocation of CAPTRUST Advisors, LLC, Buddy Brew Coffee and Continuity Logic, LLC. The building is anchored by BB&T, United States Department of Justice – US Attorney’s Office, Level 3 Communications, and Lykes Insurance. 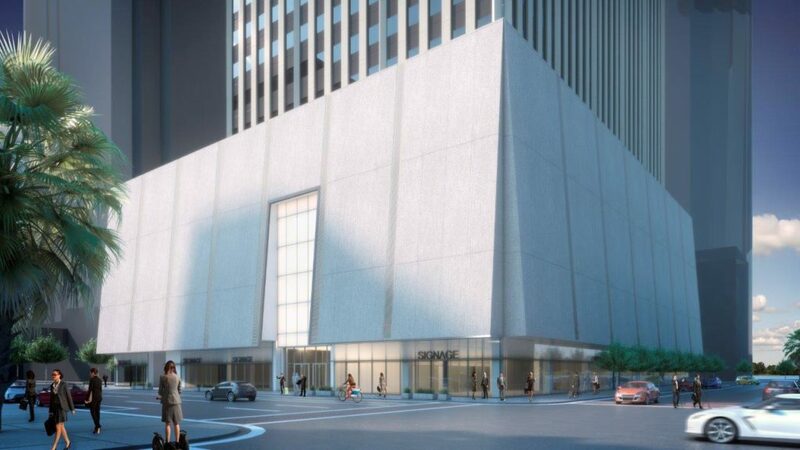 The most significant change underway at Park Tower is the modernization and brightening of the 475,000 square foot office building’s façade by painting the exterior white and upgrading the main entrance. The building’s amenities are also being upgraded with a modern, new lobby and the addition of Buddy Brew Coffee café. The office tower’s design was created by internationally-renowned architect Gensler. 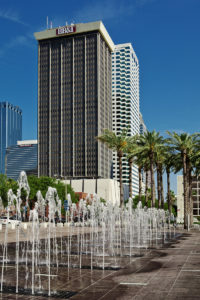 Park Tower is located in the heart of downtown Tampa directly across from The Tampa Riverwalk & Hillsborough River; Curtis Hixon and Gaslight Parks; and the Glazer Children’s Museum and the Tampa Museum of Art. 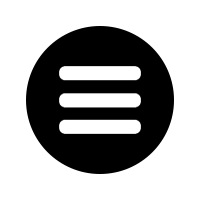 It is within walking distance of the Tampa Convention Center, University of Tampa, and the David A. Straz Jr. Center for the Performing Arts. The tower is LEED EB Gold Certified and EPA Energy Star certified. The tower’s current amenities include FedEx Office, U.S. Post Office, BB&T Bank, Grow Financial Credit Union, Pearl Salon, Nature’s Table Café, and a fitness center and conference room (currently undergoing renovation).